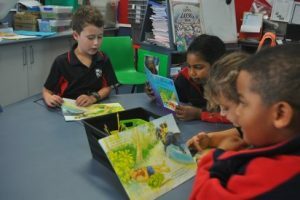 At Pakuranga Heights School we offer a pre-school programme for helping children to transition into the primary school setting. We are now taking enrolments for 4 1/2 year old children who wish to join this programme. The Top Start programme runs on a Wednesday afternoon from 1:50pm – 3:00pm, during term time for 8 weeks. The cost of the programme is $80.00 (or $10.00 per session), which must be paid in advance. Top Start is co-ordinated by our Acting Deputy Principal Claire Stretch and a learning assistant. The class size is limited to a maximum of 12 students. Please phone the school office on 576-9209 to pre-book your child into the programme the term before your child is due to start school. Print out an enrolment form and visit the school office to enrol in person.